We’re now in October, the month of pumpkin spiced lattes, fur-lined boots, and snuggling up under a blanket watching Strictly. Just us? We didn’t think so! As it gets colder and we naturally spend more time indoors, it’s very easy to neglect the external appearance of your home – the first thing potential buyers see. With that in mind, we’ve created a handy list of tips, which will help improve the winter curb appeal of your home without breaking the bank. 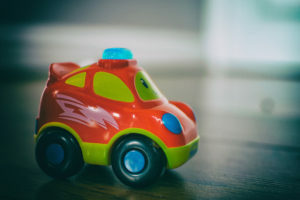 Children’s toys can be one of the biggest culprits, but other things to look out for include flower pots, gardening tools, pet toys and any ‘gifts’ they may have left on the grass. Having a clutter free outdoor space helps potential buyers to imagine themselves living in the space before they’ve even set foot in the front door. 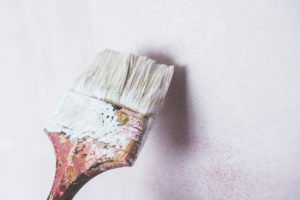 Paintwork is something it’s easy to forget when you’re not outside looking at it much, but by touching up dirty or peeling paintwork, it will brighten the outside of your property, and avoid instilling fear into the heart of the potential buyer when they see peeling paint, and add it to the list of jobs they would have to do. 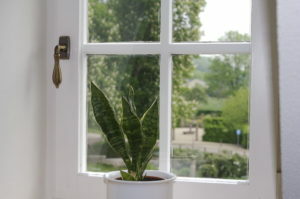 Having bright shining windows is really important when it comes to making a good first impression. Go round the inside with a lint free cloth and some smear free window spray, and it’s well worth getting a window cleaner to clean the outsides. If eyes are windows to the soul, then windows are the eyes to your home – put a twinkle in them, and they’ll make a fantastic first impression. 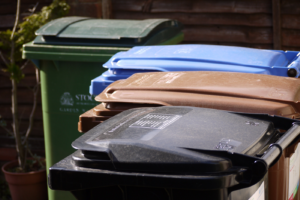 Bins aren’t exactly the most aesthetically pleasing functional objects in the world, so if it’s possible to hide them from view of people creating their first impressions of your property, then that is definitely the best thing to do. If not, then give them a good hose off – inside and out – to eliminate any bin smell. 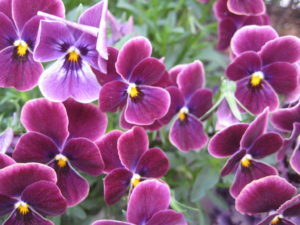 If you do want to add a splash of colour to your garden, then there are plenty of winter bedding plants which can be planted from September to November, and which usually flower throughout milder spells during the winter and then have a burst of growth in the early spring. So there we have it, a small list of basic and non-intimidating tips to improve the winter curb appeal of your home. If you are looking to sell or let your home in the Bexley area, then we can offer you bespoke support and advice throughout the entire process – give us a call on 0208 304 0997.